Michael Knight Cast for New NBC Knight Rider Pilot | OhGizmo! 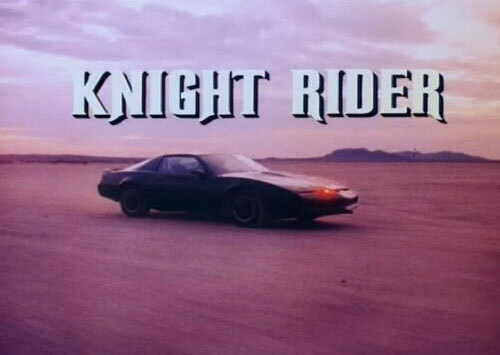 Man when I was a kid I seriously loved Knight Rider. That was way back before Hasselhoff was a drunkard ex-life guard and was actually cool. NBC has plans to bring Knight Rider back to network TV in a 2-hour pilot TV movie with a Transformers inspiration to it. How exactly the remake is going to be like Transformers remains to be seen, but we could easily assume Kitt will be a transforming robot like Bumble Bee, which is cool sounding. NBC has cast Justin Bruening in the lead role of Michael Knight for the pilot where he will play the son of the Hoffster from the original series. Let’s hope NBC forgoes the tight pants and big hair this go around. You muppet! It couldn’t be Knight RIder WITHOUT the tight trousers and big dodgy haircut! 🙂 Bring back the Hoff and make it truly ridiculous since it’s surely destined to be crap anyway….